The Gas-MP contains an all-in-one washable pre-filter, activated carbon and exclusive MCP odor powder. 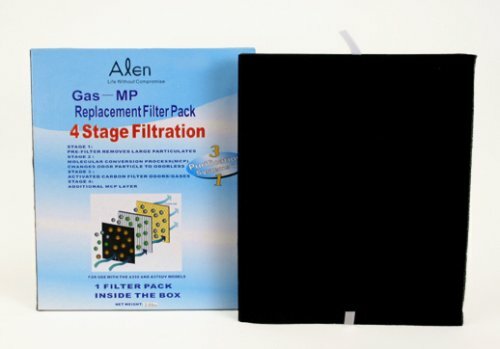 This filter is designed for maximum odor removal and contains twice the amount of carbon as the BF25A filter for odor adsorption and twice the amount of MCP odor powder for smoke and bathroom odor removal. The MCP odor powder uses a patented molecular conversion process (MCP) to change smoke and most bathroom odors to be odorless on contact. The powder is a concentrated form of the technology that is used with the Alen odor sprays. There is no HEPA media in this filter so the life of the filter is 1-2 years. Filter is designed for use with the Alen A350 and A375UV air purifiers.